/co/ - Comics & Cartoons » Searching for posts with the image hash ‘x1iRuY3aN00ff/2MGcBP3Q==’. Searching for posts with the image hash ‘x1iRuY3aN00ff/2MGcBP3Q==’. 4 results found. It indeed does. 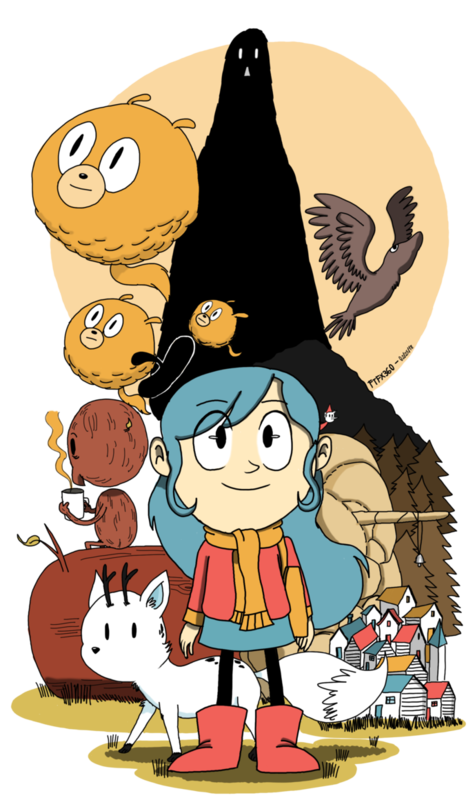 It’s basically Gravity Falls but British, I love my blue-haired princess and her deer-dog. It also helps that Tora voices Elfer, who’s also amazing. Does Hilda count? It’s like Gravity Falls but the interactions between characters are pretty wholesome. Plus the artstyle is adorable too. It also helps that Tora voices one of the main characters. This guy beat me to hellboy x anything, so I'm going to say a Hellboy/Hilda crossover might be fun.